Back then I advocated having a system and testing the strength against some sort of password meter. It worked but was a bit labor intensive. Fast forward and we now have password managers that simplify things. And if you’re not using one, you’re probably at risk and doing more work than necessary. Some folks may be happy with their existing systems that rely on their memory or maintaining some sort of list on their computer. That used to work when we needed to track far fewer passwords and only on computers. Now, just about everything needs a password and it’s not just online. We’ve got PINs, license numbers, gym locker combos, library card numbers, router passwords, and other stuff. I suspect if you wrote them all down, you’d have several hundred. I think we’ve all experienced that moment where we’ve entered in two bad attempts and know that if we don’t get this attempt correct, we’ll lock ourselves out. Worse, you then have to call support and remember the answer to the secret question you forgot about. “Really…that was my favorite film?” And let’s not forget that these lockouts tend to be when you really need something or support is closed. 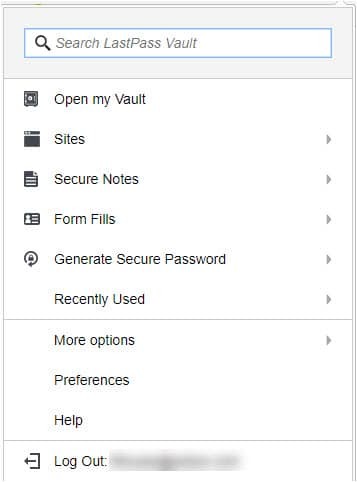 Here are some of my favorite reasons for using a password manager. They are more secure and can encrypt your info. They can be used across devices or platforms (web browser,desktop, phone, tablets). The cost is minimal or free. They can automatically fill in passwords or address fields on websites. They can automatically create strong passwords for you. They keep all your info in one convenient place. They can scan your existing passwords for duplicates or ones you haven’t changed. They can scan to see if any of your email addresses have been used on compromised domains. They can be used offline. They can be secured by a Master password. They can email you when a password has changed. They can be secured with multi factor authentication (2FA). Now, can your system do that? Probably not. These passwords systems are designed for securing and capturing sensitive info. Below is an example of one that works with my web browser. You can see it provides me with a number of options. 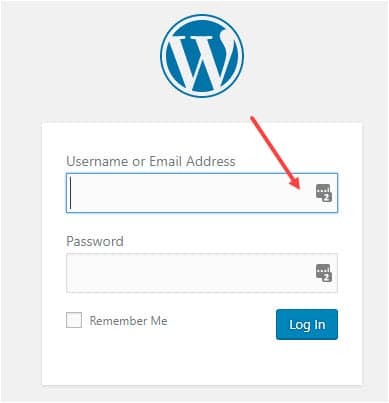 Once you’ve entered a password, these systems will display small icons in username and password fields indicating they have entries for this particular site. In the screen snap below, my manager indicates it has two accounts for this domain. I can simply click the tiny icon and have the info filled in. While Evernote, Microsoft Word, and Excel can handle passwords, they weren’t built for this purpose. It’s best to use a tool designed for passwords. And if you’re still not convinced, this short video presents some compelling info.